Number ten was the big winner in our house (beating out very stiff competition, I’ll point out). Granted, the nine or ten-block walk to the computer lab was often quite brisk thanks to sub-zero temperatures with ridiculous wind chill factors, and required bundling our son up like the biggest burrito ever seen, but it was totally worth it! Once the arctic trek was completed and the baby had been divested of his wrappings and settled into the stroller we’d carried from home (because umbrella strollers don’t roll through ice and snow), there was a wide range of entertainment to be found at the computer lab. OK, maybe “wide range” would be overstating it. Specifically, there were two options back in the glory days of 1992. Option one was “Scorched Earth,” which we had stored on a little 3.5” floppy. This was an awesome game, back in the day. A variety of flat, one-dimensional landscapes populated by little tanks that shot at each other. I could play against my husband and a few computers, or if my husband had actual schoolwork to do, I could play against nothing but computers. The fun lay in the fact that you could earn money to buy bigger, better, and more interesting weapons. You had the option of nukes, radioactive slime, and a whole host of other weapons—some of which were more interesting than they were effective. The tank’s trajectory and the power of each shot were controlled with arrow buttons on the keyboard. Weird, slightly tinny sound effects accompanied each shot, and occasionally a vanquished opponent would offer a witty comment about his demise, such as, “Is it getting hot in here?” It was juvenile, silly, and extremely satisfying! The other option was to talk to people in other towns, also known as “chatting.” This chatting was not the quick back and forth we enjoy with Facebook and AIM. Chatting in 1992 moved at the speed of an intensely thoughtful chess game played by two elderly men in a park wearing worn cardigans, faced with the knowledge that once the game ended they’d have to go home and watch Wheel of Fortune with their wives. After typing a message to the person you were chatting with, you had time to walk up the hall and get a drink from the vending machine, stop and talk with the friend pretending to write their research paper, and drink half the can before anyone responded. Fun times. Facebook, POGO, World of Warcraft, D&D Online, CNN.com, Hulu, blogs, and all the other things we associate with the internet now didn’t exist yet. But back then, to a young woman whose life had suddenly narrowed to a very small apartment with a new baby and a husband trying to finish his degree? This infant technology was a miracle that very likely made the difference between sanity and a rubber room with a nice white jacket with very long sleeves. This post is in response to a prompt from Write On Edge to write a memoir piece about our earliest memories of technology and how they affected our life. I miss that stupid Scorched Earth game--none of the modern games available today can match the sweetly innocent mayhem we loved about blowing those tiny little tanks up. I played "tanks" instead of "Scorched Earth". Same general idea! Instead of going to the big labs, I preferred the tiny 2 computer lab in the dorm. (Of course, by 1992, I had dropped out, or you'd be hanging out with me) We referred to them as dinosaurs, or as Captain Kirk's Computer. After logging into the MUD (Strange, text based games like D&D) I would type in N-N-E-N... etc, giving my "character" instructions to go north, north, east, north... and on through about twenty directions to get to the guild hall. In this time, I would walk down to the Pokeskellar (in another building, but the basements connected) buy a pint of Ben & Jerry's, and my roommate and I would start eating as we waited for the computer to catch up with the commands. And I absolutely LOVED the old men in the park analogy lol! 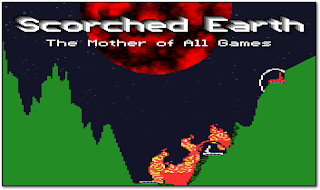 ROFL - yeah, Tanks and Scorched Earth were basically twins. They were so SLOW! And now, if the webpage I'm looking at takes longer than 3 seconds to load I freak out. *sigh* We are so spoiled! I wrote about a chat room in the exact time period as you describe here. I have to say it made me incredibly nostalgic as does your post! And remember that screeching, squealing noise of logging on?! It was all so new and exciting...and faster than snail mail! I love the way you described chatting ala chess- perfection! Also? I love the jump-off-the-screen adoration for the games you played! I feel that way about Pac Man. And Donkey Kong. Ahem. 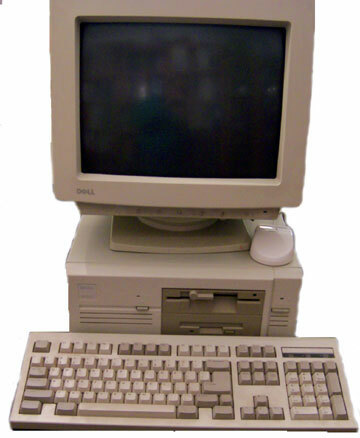 May - I did tech support for AOL before the advent of cable modems. I spent most of my days listening to those melodic tones! I love your comparison of "chatting" with old men playing chess. LOL. Totally! It's so funny how that slow, slow connections seemed so amazing and exciting. I can remember sitting in front of a computer in a lab, with a book in my lap to wait for things to happen.